As you are most likely aware by now, this week the world lost Robin Williams, the great comedian and activist, to apparent suicide. Williams was 63 years old and was found dead by his personal assistant in his California home on Monday. 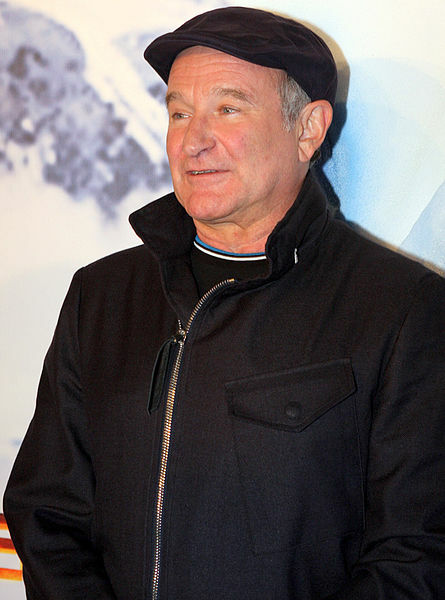 News of his death has launched a stream of tweets, posts, and story swapping from numerous fans of Williams and of his memorable roles in various films such as Aladdin, The Dead Poets Society, and Mrs. Doubtfire. In unpacking the large amount of news related to this sudden loss, one can see that there has been a reported spike in the number of calls to suicide hotlines in the States, and mental health organisations here in Oz have reacted by encouraging us to reach out to those in need of help with depression. Also, there’s been a huge backlash on social media against Williams’ daughter, Zelda Williams. So bad, in fact, that she is reportedly leaving social media for good because she is so frustrated by Internet trolls being cruel to her. Most shocking of all is the Westboro Baptist Church’s reaction to Williams’ death – they have backlashed against his views on sexuality, marriage, and gay and lesbian rights by starting the cruel hash tag #MustPicketFuneral. I just can’t even. How in the world does this organisation consider itself Holy at all? I hope and pray that picketers do not show up at his funeral and that they stay well away from a grieving family and a grieving world that has lost one of the most iconic minds of its generation. But in times like these, it’s best to ignore the naysayers and the haters. This really is a time for grieving and for remembering this great man. I came across a wonderful article that does just that. Amen to that, Mr. Williams. Amen. Goodbye, Genie, hope you are happy up there. We will never forget how you stood up for all of us and helped make change happen. Sadly, much work is yet to be done, but we won’t let that stop us from losing hope. “Showed us that fatherhood is a feminist issue?” This is such bunk. Not only does feminism not care about men, fathers are ignored even more. Robin Williams committed suicide b/c being a father, and a wealthy man, wasn’t making him happy in today’s society. Feminism created this society. Fathers are slaves, men with wealth are targets, and help is actively campaigned against (fire alarms anyone?). Feminism created no-fault divorce. Feminism mutated ‘child support’ and alimony to now be a incentive for having multiple children from multiple fathers. Don’t believe me? The poor are always the first to show symptoms of societal issues, go look at the statistics. If feminism was really about equality it would look at the problems it has caused and hang itself. So what you’re saying is Robin Williams committed suicide “because feminism”? That makes complete sense. Thank you, Freud, for clearing that up for us. Lol you’re so concerned with that. You don’t care about men’s rights. You just hate the word Feminism so badly that you want, no, you NEED them to hate men just so you can justify your irrational hate. This entry was posted in Featured and tagged film, Gay Rights, LGBTQ, robin williams. Bookmark the permalink.